The 64th Vimal Filmfare Awards 2019 happened on March 23. The glitzy function saw who's who from the Bollywood world. The films that were competing at the award function were all mass-approved. Also, there were some dazzling appearances that soothed the netizens like those of Ranbir Kapoor, Alia Bhatt, Deepika Padukone, Ranveer Singh, Vicky Kaushal, Katrina Kaif to name a few. As the pictures and videos are liked by the audience, the winners' list has mighty pissed off the Twitterati. 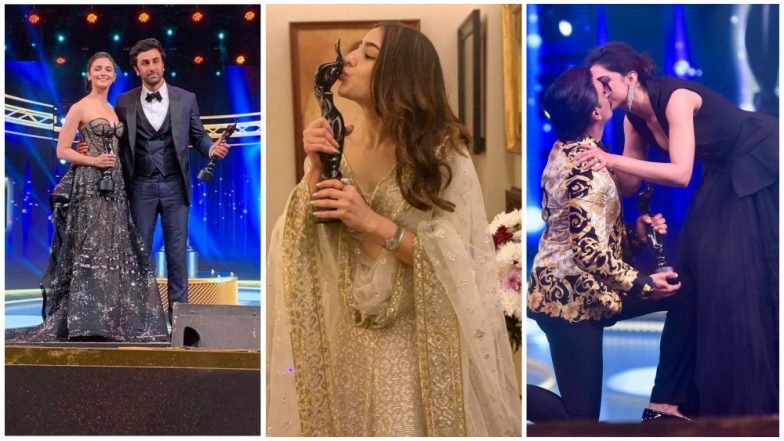 Check out the 64th Filmfare Awards 2019 Complete Winners List Here. The winners' list saw names like Badhaai Ho, Padmaavat, Sanju, AndhaDhun, Raazi. These films were widely discussed ones and rightly received the accolades in the deserving categories. However, some opined that the awards were given to the regular 'camp' of B-town. Others were pissed off for ignoring some good films like Laila Majnu or good performances like Tabu in AndhaDhun. Others slammed the 'categories' that were presented at the award shows. Check out some of the tweets by the not-so-impressed fans. Ranbir Kapoor Cannot Stop Blushing as Alia Bhatt Says 'I Love You' On Receiving an Award at Filmfare 2019!. What? No award for #Tabu #FilmfareAwards phew!! Never wanted to believe it, but now it feels all true! Why Filmfare? Why?? Awards has to be on talents not otherwise! Well, as much as some of the tweets do make sense, we must also agree to the fact that some of the deserving personalities have been awarded, thankfully. A 74-year-old Surekha Sikri getting her first Filmfare for Badhaai Ho or Neena Gupta and Gajraj Rao getting their due for the same film looks like a sign of hope. From snubbing Vicky Kaushal for his debut in Masaan to presenting him an award for his supporting role in Sanju, there is a bit of improvement. Let us hope that the ceremonies get more authentic further, giving space to some of the unrecognized films and actors who deserve attention too. What is your take?